The Act Hulu: Disturbing true story of Dee Dee and Gypsy Rose Blachard. 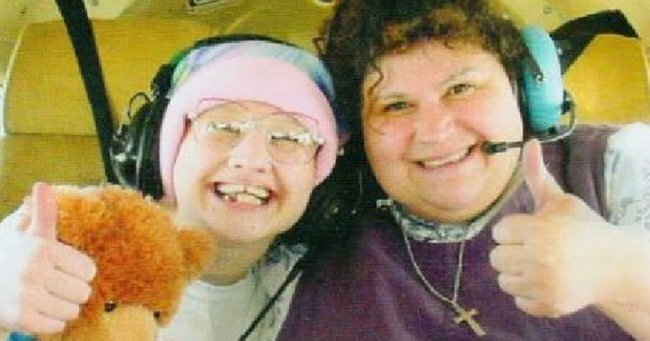 Hulu show The Act is based on the disturbing true story of Dee Dee and Gypsy Rose Blanchard. The story of Dee Dee and Gypsy Rose Blanchard turned out to be one of the most bizarre and infamous homicide cases in the United States. It’s no wonder the story has been the subject of multiple documentaries and a movie since the murder occurred just a few years ago. When Dee Dee Blanchard was found dead with multiple stab wounds in her bedroom in June 2015, no one suspected her sick, wheelchair-bound daughter. Watch The Act trailer here. Post continues below video. Gypsy Rose Blanchard had so many ailments – including muscular dystrophy, developmental delays and leukaemia – that neighbours could not recall them all. Dee Dee told them her daughter has “the mental capacity of a seven-year-old”. After her mother’s death, Gypsy vanished. She was feared hurt or abducted but was found days later at the home of her secret online boyfriend Nicholas Godejohn. Astonishingly, she was healthy and walking, despite the fact that she hadn&apos;t taken any of her medication. She didn&apos;t need it, because Gypsy was not sick. The medication was unnecessary and rotted her teeth, the operations pointless. Her condition was an elaborate fraud swallowed by friends, family, doctors and even the young woman herself. For Gypsy&apos;s entire life, Dee Dee had concocted this lie. She&apos;d reaped the benefits - including a Habitat for Humanity-built house in Springfield, Missouri - for more than 20 years. Eventually, Gypsy snapped. She enlisted her boyfriend Nicholas to kill her mother. Dee Dee&apos;s body was not discovered for days and Gypsy was eventually tracked down at Nicholas&apos; house in Wisconsin. The pair were arrested and charged with murder. Both went to jail for their crimes: Nicholas was sentenced to life, while Gypsy is serving a 10-year sentence. Today Dee Dee&apos;s sociopathic stranglehold on her daughter is considered to be one of the most severe cases of Munchhausen by Proxy Syndrome ever documented, and part of the reason she avoided a life sentence, or potentially even death. The story of Dee Dee and Gypsy Rose is now the subject of an eight-episode Hulu series called The Act, staring Patricia Arquette as Dee Dee and Joey King as Gypsy Rose. The show is based on a 2016 Buzzfeed article by Michelle Dean. Its first two episodes were released on March 20 and critics have described it as "disturbing" and perfectly cast.